At Lynnwood Brewing Concern, our customers can’t get enough of our local craft beers, brewed fresh right here in Raleigh, NC. Located near Glenwood Avenue and Lynn Road, we have something to satisfy everyone’s tastes, from our Lynnwood Light to our driest stout. 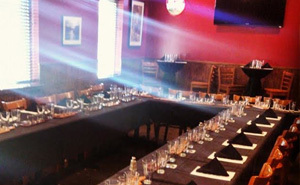 Come by for just a beer or two, or sit down and eat from our delicious menu. 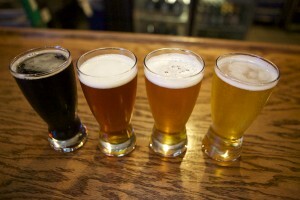 Taste several of our award-winning brews with a flight, or take your favorite home in a growler. Don’t forget to ask about our weekly specials and seasonal beers available at our local brewery in the Grove Barton Shopping Center. Growlers available for purchase at $4 and filled/refilled at pitcher prices. Howlers available for purchase at $2 and filled/refilled at pitcher prices. 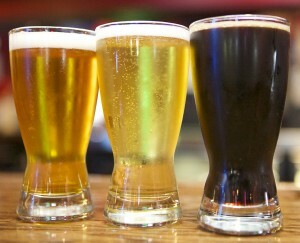 Visit Lynnwood Brewing Concern, and taste our craft beers for yourself. You’ll make LBC your regular spot before you know it. 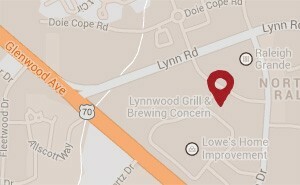 Lynnwood Grill & Brewing Concern provides great food and award-winning craft beer to the Lynnwood community and surrounding areas in Northwest Raleigh, including Pinecrest Townhomes, Grove Barton Road, Lynn Road and Glenwood Avenue.